Dr. Avijit Banerjee, Associate Professor & Head of the Department of Chinese Language & Culture (Cheena Bhavana) Visva-Bharati University. Dr. Banerjee has done his graduation, postgraduation and Ph.D. in Chinese language and literature from Visva-Bharati. He studied in China at Beijing Language University from Sept.1996 to July 1997 under the India-China Bilateral Cultural Exchange Programme. He was awarded a scholarship for attending a Short-Term Teacher’s Training Programme held at Beijing Normal University, China from 9 July to 12 August 2007. He also has authored many articles and chapters in several volumes and co-edited a book‘中国青年眼中的印度’ “zhongguo qingnian yanzhong de yindu” “ India in the eyes of the Chinese Youth" in April 2016. Dr. Banerjee’s research interest includes Chinese language and India-China cultural studies. He has also attended and presented papers in many international conferences in various cities of China. Lt Gen Gurmit Singh, PVSM, UYSM, AVSM, VSM ( Retired) superannuated from Indian Army in February 2016 after nearly four decades of service. Recipient of four President’s awards for distinguished Service/ gallantry and two Chief of Army Staff commendation awards. 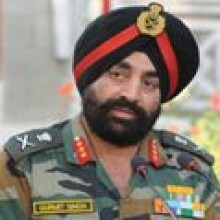 Held prestigious appointments of Deputy Chief of Army Staff , Adjutant General and Corps commander 15 Corps (Srinagar). 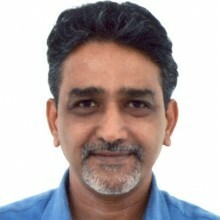 Anurag Viswanath is an independent writer based in Singapore. 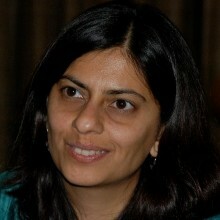 She is currently a leading columnist with Financial Express (Delhi) from 2011-. While she has written about Thailand, India, Singapore, her main focus is on contemporary China. Anurag was awarded a fellowship for her Ph.D. by the Indian Council of Social Science Research, as well as a Research Fellowship at Fudan University from the Government of India and Ford Foundation. She was also a Visiting Scholar under late Prof. Richard Baum at the UCLA, USA. ?She taught at Kamala Nehru College, University of Delhi for 2 years before turning to writing full-time. 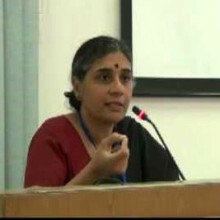 Bharati Puri is an Assistant Professor (Philosophy) in Department of Humanities and Social Sciences, IIT, Delhi. Gautam Das has been fascinated by many aspects of Chinese culture since an early exposure in the Kolkata of the early 1950s. He was practically involved with the Sino-Indian border issue while an Army officer in the period 1968-1991. His interests include Chinese art (painting and three-dimensional), Chinese cuisine, and the Chinese martial arts. He is the author of several books on military matters - military history, Sino-Indian border issues and the border war of 1962, defence policy, and counter-insurgency policy for North-East India. Geetha B. Nambissan is a faculty in the Zakir Husain Centre for Educational Studies, School of Social Sciences, JNU. Govind Kelkar is the Senior Advisor at Landesa, India and a Regional Council Member of Asia and Pacific Forum on Women, Law and Development, Chiang Mai, Thailand. She has previously worked as coordinator of IFAD-UNIFEM Gender Mainstreaming Program in Asia and later headed Economic Empowerment of Women Unit at UN Women, South Asia Office, New Delhi. Dr. Kelkar has extensively worked on the impact of women’s right to land on gender relations in rural Asia. 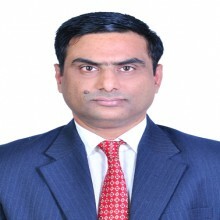 G. Venkat Raman is currently a faculty in the Indian Institute of Management, Indore, Humanities and Social Sciences (Department) since February 2015. After graduating from the Peking University he worked as a Business Development Manager (middle level management, M-7) in the Essar Steel’s representative office in Beijing for two years and eight months. His research interests include Sinology (mainly Chinese Government and Politics), India-China Relations, International Relations. Manmohan Agarwal has been teaching at the Centre of International Trade and Development at JNU for more than a quarter of a century. He teaches mainly Macroeconomics, both open and closed, but has also taught Investment Finance and Development Economics. His publications are in his main areas of research interest, namely international economics and development economics, though he has publications also in the area of environmental economics and international political economy. 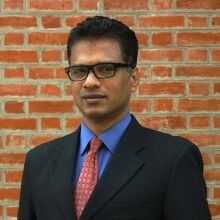 Nanda Kumar Janardhanan specialises on energy and climate policy. The areas of his work include energy policy, climate negotiation, low carbon development, energy geopolitics, nuclear and renewable energy. He is a teaching faculty with the Energy Studies Programme of School of International Studies of Jawaharlal Nehru University. As an External Expert (Fellow & Regional Coordinator), he has been guiding the research of Institute for Global Environmental Strategies (IGES, Japan) on energy in South Asia. The positions he held previously with IGES include ‘Fellow-Climate and Energy (External Expert)’, and ‘Energy Policy Researcher’. 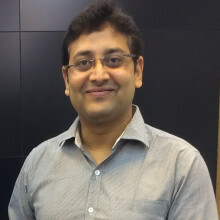 Prior to his affiliation with IGES, Nanda Kumar worked as Associate Project Manager-Nuclear Energy (GlobalData, India), Senior Energy Analyst (GlobalData), Visiting Fellow (Japan Institute of International Affairs, Tokyo), Research Assistant (IDSA, Delhi), and Research Associate (IIPA, Delhi). Poonam Surie is Adjunct fellow at the Institute of Chinese Studies and Visiting Fellow at the Indian Council of World Affairs. An economist by training, author and columnist Poonam Surie has written extensively over the last 30 years on cultural issues, diaspora studies, gender and economic issues. As a columnist for the Financial Express (while posted in New York 1994-97 ), she wrote a column ‘NY Notes’ on issues such as gender, art and culture and subsequently freelanced for a number of Indian newspapers, writing on contemporary issues including a number of travel pieces. 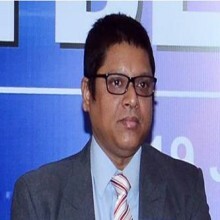 Prabir De is a Professor at the Research and Information System for Developing Countries (RIS), New Delhi. He is also the Coordinator of ASEAN-India Centre (AIC) at RIS. De works in the field of international economics and has research interests in international trade and development. He has been conducting policy research for the Government of India and several international organisations. His recent publication includes “Developing Cross-Border Production Networks between North Eastern Region of India, Bangladesh and Myanmar: A Preliminary Assessment” (RIS, New Delhi, 2014) and “Developing Economic Corridors in South Asia” (Asian Development Bank, Manila, 2015). Rama V. Baru is a Professor at the Centre of Social Medicine and Community Health, Jawaharlal Nehru University, New Delhi. Her major areas of research interest include commercialization of health services, infectious diseases, comparative health systems and health inequalities. 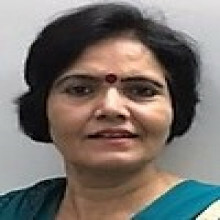 She is the author of two books - Private Health Care in India: Social Characteristics and Trends and School Health Services in India: The Social and Economic Contexts. She is on the Ethics Committee of the Medical Council of India and the Research committee of the Revised National Tuberculosis Programme of the Ministry of Health, Government of India. Raviprasad Narayanan is Associate Research Fellow with the Institute of International Relations (IIR) and concurrently, Assistant Professor, International Doctoral Program in Asia-Pacific Studies, College of Social Sciences, National Chengchi University, Taipei. 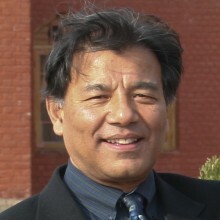 The main thrust of his writings is to tease out interstices within the rubric of China-India relations and to explore nuances of a growing bilateral that despite palpable differences on contested issues like the unresolved boundary between the two countries has elements of cooperation – evidenced by the congruence the two sides display when it comes to non-traditional security issues like climate change. 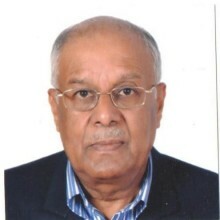 Ranjit Gupta joined the Indian Foreign Service in 1964 and retired in 2003. He was a member of the Prime Minister’s National Security Advisory Board for the term 2009-2010. He has been participating in Taiwan related activities of ICS - primarily by organising and participating in interaction with visiting delegations from Taiwan, attending Taiwan related talks and seminars etc. and writing on Taiwan related subjects for the ICS Journal. He has lectured and written about India China relations in a variety of fora fairly regularly. Ritu Agarwal is an Associate Professor at Centre for East Asian studies, School of International Studies, JNU. She holds a Ph.D. in Chinese studies from University of Delhi. She completed her M.A. in Political science, JNU. Her Doctoral work explored the micro-level agrarian transformation in Yunnan province and she is currently engaged in questions of evolving property regime in China. Her research interests are: rural political economy, urbanization, gender studies and provincial politics. 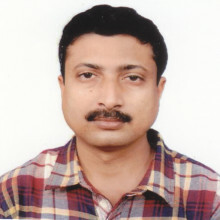 Sandip Mishra is Assistant Professor of Korean Studies at University of Delhi. 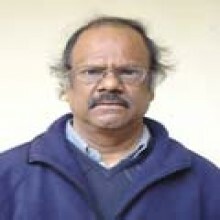 He has published several articles in Indian and Korean academic journals along with book chapters and contributed opinion articles to Indian and Korean newspapers such as Korea Times, Indian Express, Financial Express, Pioneer, and Statesman. Security Dynamics of East Asia and Korean Peninsula is his forthcoming book. His latest article “India and Republic of Korea: Growing Strategic Partnership”, was published in Foreign Affairs Journal, July-September 2012 Issue. Siddiq Wahid is currently a Senior Visiting Fellow at the Centre for Policy Research (CPR) in New Delhi and Adjuct Fellow the Institute of Chinese Studies (ICS) in Delhi. Prof. Wahid is also associated with the Tibet Policy Institute (TPI). He is currently also a participant in the Borderland Project of the India China Institute at the New School University in New York. He received his PhD in the field of Inner Asian and Altaic Studies at Harvard University where he specialized in Tibetan and Central Asian political History. Sonia Shukla is a Chevening Scholar from the University of Westminster, London. 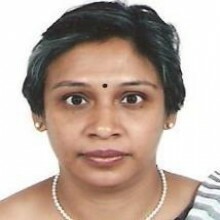 She is currently co-authoring a book on the India-China border policy, as well as working as a consultant on Indian foreign and security policy issues. 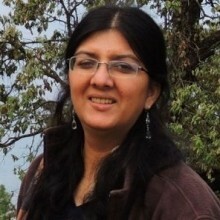 Sonia has been an editor at The Indian Express, contributing regular articles and opinion on all areas of Indian foreign policy including India’s fight against terrorism and the rise of fundamentalist forces in the region, India-Pakistan relations, missile defence, India’s relations with its other neighbours and the United States. Srabani Roy Choudhury is an Associate Professor in Japanese Studies, Centre for East Asian Studies, School of International Studies, and Jawaharlal Nehru University. She associates with business schools like Indian Institute of Foreign Trade and Management Development Institute to give insight into eastern management practices. Dr. Rajiv Ranjan is an Assistant Professor at College of Liberal Arts, Institute for Global Studies, Shanghai University, Shanghai, China. Previously, he was a Research Fellow at Indian Council of World Affairs (ICWA), New Delhi, 2015-16 and a Visiting Senior Scholar at School of Political Science and Public Administration, Shandong University, Jinan, China, 2013-2015. He is trained in Chinese language at College of International Education, Shandong University. His research interests include Government and Politics in China, China and World Order and Ancient Chinese Philosophy and Strategic Thought. He is teaching graduate courses on "Rise of Asia and New World Order", "China and South Asia" and " China and Major Powers". Sushila Narsimhan, Professor of Japanese Studies, began her career in 1964 in Daulat Ram College, University of Delhi, and later moved to the Department of East Asian Studies where she taught until her retirement in October 2007. Her specialization is Japan’s Meiji period and 19th century Sino-Japanese relations. Her academic interests also include the study of plants that changed the course of human history and world civilization. T G Suresh is currently an Associate Professor in the Centre for Political Studies, School of Social Sciences, Jawaharlal Nehru University. His publications and conference papers on China covers a broad range of concerns including nationalism, the political economy of reforms in Sichuan province, labour and building production in Shanghai and Delhi and the new urban labour regime in China. His current research focuses on how new forms are social labour are getting shaped at the intersections of urban spatial practices and global economic flows in Delhi and Shanghai. 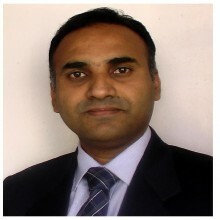 V Krishnappa is currently reading for Master’s in Strategy and Innovation at Said Business School, University of Oxford. 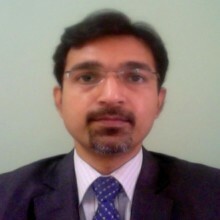 Krishnappa is working on culture and strategy formation in business and foreign policy domains in India, China and Japan. His other research interests include: corporate strategy; innovation and change management; culture and strategy; scenario approach to strategy formation and global strategy. He is particularly interested in cultural and political dimensions of strategy formation in complex organizational contexts. 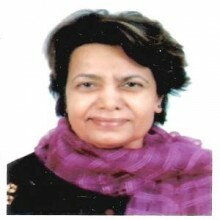 Anita Sharma is the Pro Vice Chancellor at K. R. Mangalam University, Gurugram, Delhi-NCR, India. She is an Adjunct Fellow at Institute of Chinese Studies, Delhi. She was a Professor at the Department of East Asian Studies, University of Delhi. 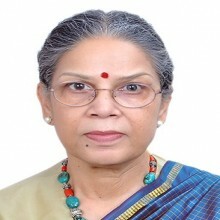 She is former Head, Department of East Asian Studies and former Dean, Faculty of Social sciences, University of Delhi. She studied History in Delhi University at under graduate level and continued to receive her Post graduation specializing in Ancient Indian History and Chinese History. After completing her M.Phil. in History from University of Delhi, she studied Chinese History at Fudan University, Shanghai, China and Chinese Language at Beijing Language Institute, Beijing, China. She was the recipient of Ministry of Human Resource Development scholarship to China for two years. She received her doctorate in Buddhism from the University of Delhi where she taught History, Buddhism and Chinese Language for more than thirty years. She has written and edited books on Buddhism and Chinese Language and has a number of research papers and articles to her credit. 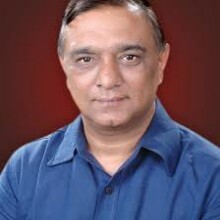 Atul Bhardwaj is Senior Fellow, Indian Council of Social Science Research with the Institute of Chinese Studies (ICS), New Delhi. He is an Ex- Indian Naval Aviator. He is pursuing PhD in ‘political and ideological influences on Indian leadership leading to 1962 war’, from Ambedkar University, Delhi. He writes for Economic and Political Weekly, besides magazines like Frontline. Sriram Natrajan is an independent consultant on economics, development and statistics, with a focus on food and agriculture in Asia. He has consulted on economics and statistics in international organizations such as FAO and ILO and taught economics and development in India and Thailand and lectured in various academic institutions. Zorawar Daulet Singh is a foreign-affairs analyst based in New Delhi. 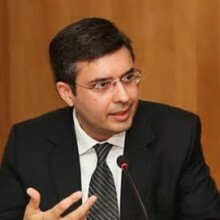 His research interests include India’s foreign policy, various dimensions of India China relations, Eurasian geopolitics, the evolution of BRICS, and, international political economy. He is a columnist for the Deccan Herald and Outlook and co-author of India China Relations: The Border Issue and Beyond, (2009) and Chasing the Dragon: Will India catch up with China?, (2009). He is also a doctoral candidate at the India Institute, King’s College London. His PhD thesis engages with the concept of role conceptions and Indian statecraft during the Cold War with a focus on Nehru and Indira Gandhi’s regional policies.